You must be logged in to add a new BBS. If you do not have an account, please Register for a new one. 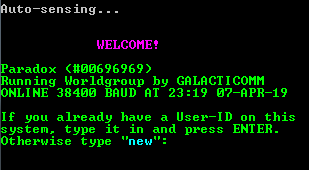 If your BBS is already listed and you are the Sysop of that BBS, once you are registered, please click on the “Report / Claim This BBS” button and we will link your account with your BBS to allow you to modify your BBS listing any time you wish.